Constanze Chmiel’s specialty is the early flute. 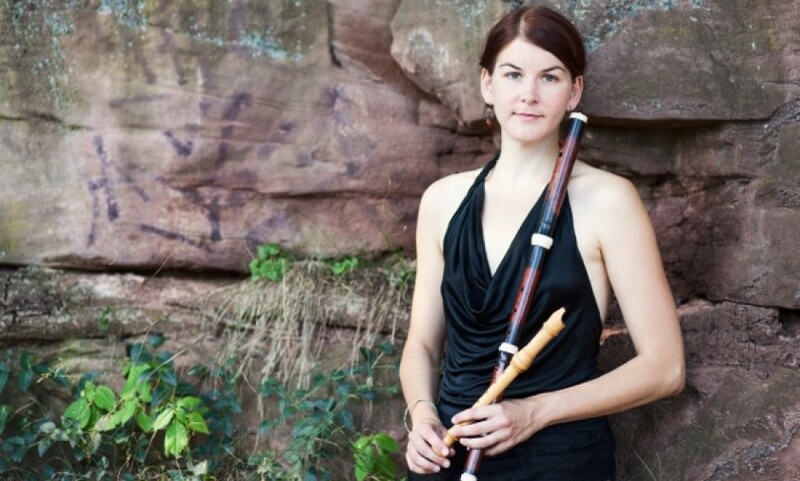 With the recorder and traverso, she is able to cover four centuries of European music; starting around the 1400’s with Renaissance instruments, until the Baroque and even the Classical flute. During her studies at Berlin (Universität der Künste) and at Geneva (Haute École de Musique) in the classes of Christoph Huntgeburth, Gabriel Garrido and Serge Saïtta, she has obtained several degrees both for the traverso and the recorder. Her participation in various master classes, (for example with Marc Hantaï, Han Tol and Dorothee Oberlinger) further enhanced her musical apprenticeship. Constanze Chmiel additionally obtained Masters Degrees in Music at the UdK Berlin and in German Language and Literature at the Humboldt University, Berlin. As a member of several chamber ensembles, she has participated at Fringe concerts in Utrecht and was part of an ensemble who were finalists of the Händel-Wettbewerb at Göttingen (with ombre et soleil). In 2014, she performed with the Geneva-based group, Ebálides, who were invited to be the ensemble in residence at the Academy at Montfrin. She frequently plays with baroque ensembles such as the Ensemble Baroque de Joux, the Camerata Rousseau, Gli Invaghiti and Elyma (dir. Gabriel Garrido), performing with musicians such asChiara Banchini, François Nicolet, Hadrien Jourdan, Bertrand Cuiller, Jonathan Rubin amongst others.